« Nonversations vs. 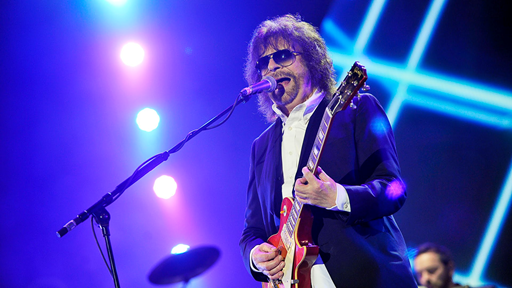 Conversations …..
Having sold well over 50 million records, including the platinum selling Mr. Blue Sky (music video), Jeff Lynne knows a thing or two about creating hit records. When asked, where he gets his inspiration from he replied, “Tea." Lynne says that the most important part of writing a great song is to make sure that he tunes himself before he tunes his instruments. Before he starts writing, Lynne sits on his own in his garden in Beverly Hills with a cup of tea and just lets his mind wander. By the time he’s finished his cup of tea he usually has a riff or a phrase that is the starting point of a song. Sometimes it requires a second cup of tea, but never a third. The likes of Picasso, Mozart, Einstein and many other greats have championed the practice of silence and solitude as a source of great ideas. "The mind is sharper and keener in seclusion and uninterrupted solitude. Originality thrives in silence. Be alone, that is the secret of invention. Be alone, that is when ideas are born." The clue to the source of inspiration lies in the root of the word itself, in – spirit. As well as being a source of creativity, I find that being still and tapping into your spirit at the beginning of the day, increases your resilience for the rest of the day and muffles the madness. I grew up in a tough area. When I was a kid, people used to cover me in chocolate and cream, and then put a cherry on my head. I went out for an Indian last night. The waiter asked “Curry Ok?” ….. I said ” Oh alright, I’ll do one song then leave me alone." A 3-month pregnant woman falls into a deep coma. 6 months later she awakes and asks the doctor about her baby. Doctor: Don’t worry. You had twins, a boy and a girl and your brother named them for you. Woman: Oh no, not my brother! He’s an idiot! What did he name them? Woman: That’s not too bad. What about the boy? This entry was posted by admin on October 25, 2015 at 7:09 am, and is filled under Sunil Bali, The Art of Awesome Living, The Book of Awesome Humour. Follow any responses to this post through RSS 2.0. Both comments and pings are currently closed.